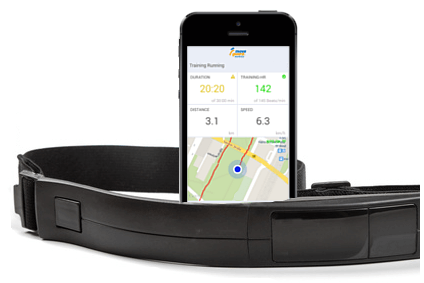 For the usage of the training companion by moveguard you just need a smartphone. All android and iOs smartphones are supported – all conventional Samsung, HTC, Motorola and Apple smartphone models can use moveguard. 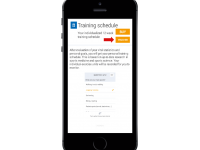 The training app sets up a fitness plan and is able to log your training. For the tracking of your training you need a common heart rate monitor with Bluetooth or Bluetooth Smart. 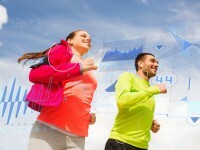 The choice of a heart rate monitor model with Bluetooth depends on your smartphone. For the compatibility of your smartphone, please check on the particular manufacturer’s webpage, on smartphone specialist websites (e.g.www.gsmarena.com) or have a look at thisscheme. With the introduction of the Bluetooth 4.0 protocol as standard in 2009, nearly all newer smartphones are equipped with this standard. You recognize these gadgets through the label “Smart” or “LE” for Low Energy. Via the energy saving Blotooth 4.0 all smartphones with the android operating system 4.0 and higher and iPhones with the iOS operating system 6.0 and higher (be aware that here the operating system is meant – not the smartphone) can be connected to the training app. If you select the app in the menu unter “settings” > “Heart rate monitor” your heart rate monitor you can start your training right away. Older smartphone models that are enquipped only with Bluetooth 2.0 can be connected to a conventional Bluetooth hearth rate monitor. These heart rate monitors are tagged with the word “Bluetooth” or with the label. Our app can be connected to almost any heart rate monitor which transfers the heart rate via a chest strap and which is equipped with a standardized Bluetooth interface. The moveguard fitness app was developed on the basis of scientific data and studies. We know from many years of experience that heart rate monitors that transfer the heart rate via a chest strap are the more accurate than those which measure the heart rate at the wrist (e.g. MIO, Fitbit, Jawbone). For this reason it is not possible to use them with the moveguard training companion. We have checked the following conventional heart rate monitors with the fitness app: Wahoo, Polar, Zephyr, runtastic and Tchibo. If you possess which is equipped with a standardized Bluetooth LE Standard you may connect it to the app. Put on your chest strap and check your transmitting device (further information should be on the manual). Now you can start the training. To allow data to be transferred directly from the chest strap to the smartphone, both devices must have Bluetooth 4.0 (LE). 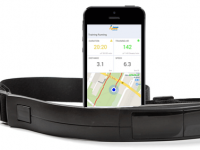 Your heart rate is recorded via a standard Bluetooth Low Energy (LE or 4.0) heart rate monitor strap (only onshore). If you just want to test the moveguard training companion you can also use a “normal” heart rate monitor without Bluetooth and enter the average heart rate into the app after the training. Unfortunately, in this case no progressive graph of the heart rate can be displayed. If you cannot wear a heart rate monitor as you go swimming or do aquajogging you can measure your heart rate by yourself right after the training. Place your index finger and middle finger (not with the thumb) on your neck and count the heart beats. Afterwards you can enter the value into the fitness app.